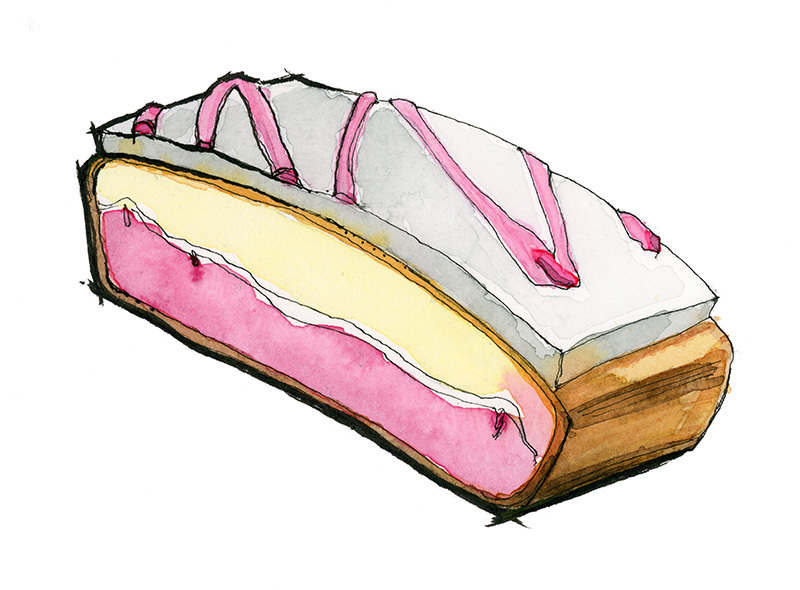 My sketch of an individually wrapped, Mr. Kipling, Angel Slice cake I purchased from a Tesco Express in May 2017. It was incredibly sweet. Best with a strong cup of tea.